Originally located in northeastern Oregon and southeastern Washington. 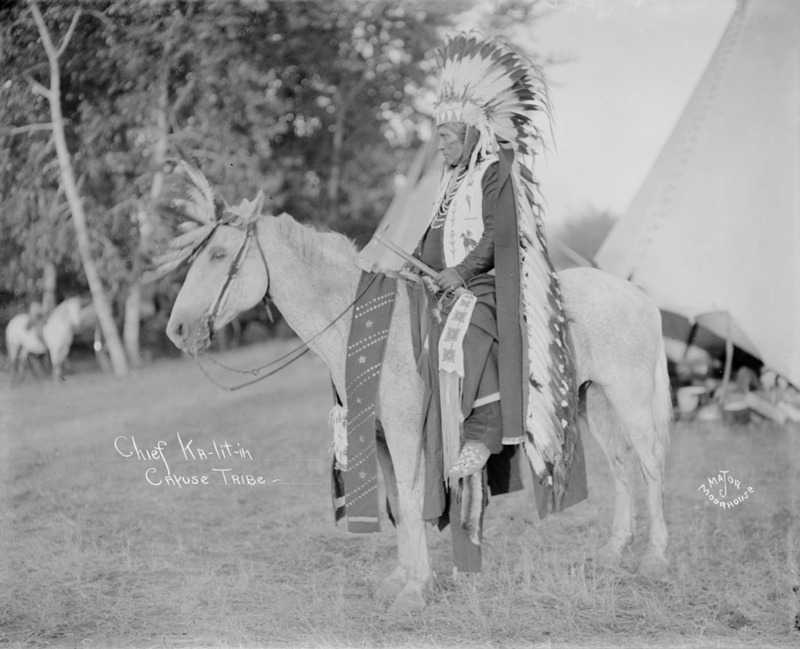 The Cayuse placed a high premium on warfare and were skilled horsemen, often using their horse-riding prowess to intimidate enemies. 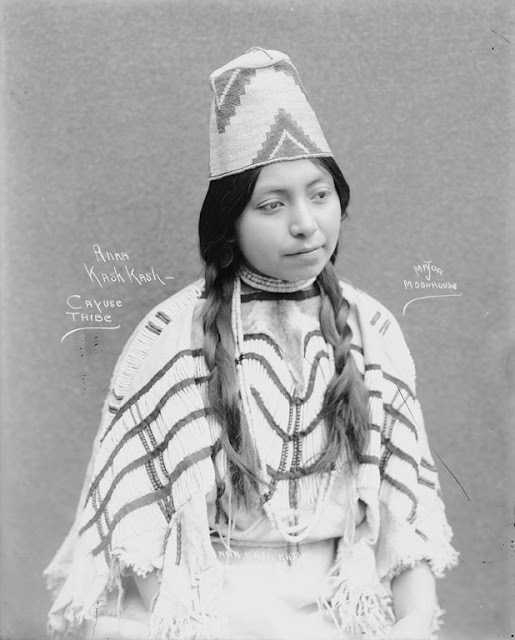 The Cayuse called themselves the Liksiyu in the Cayuse language. 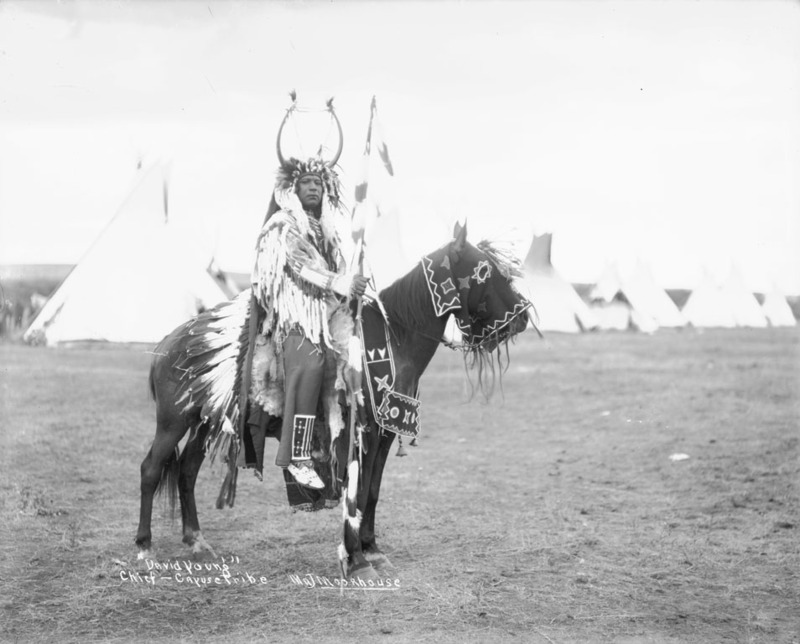 They developed the Cayuse pony. 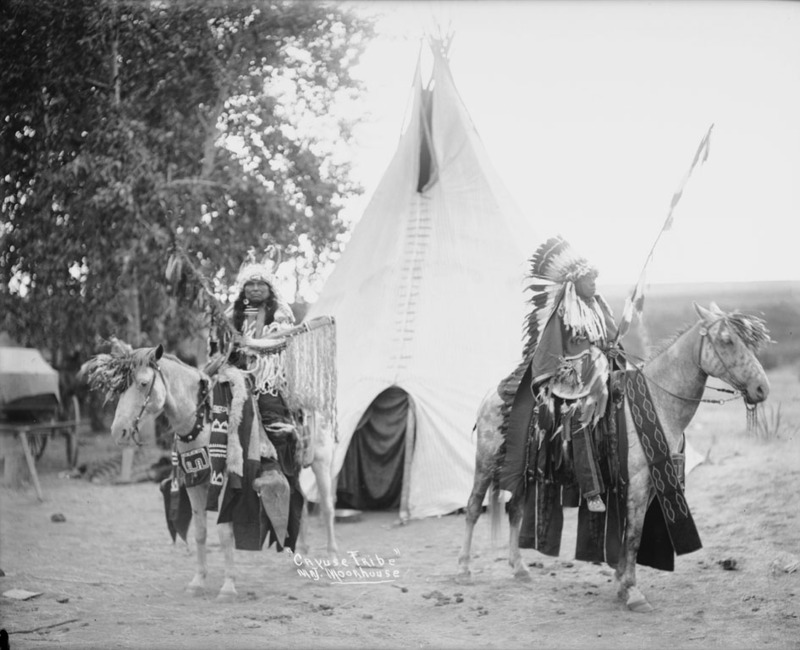 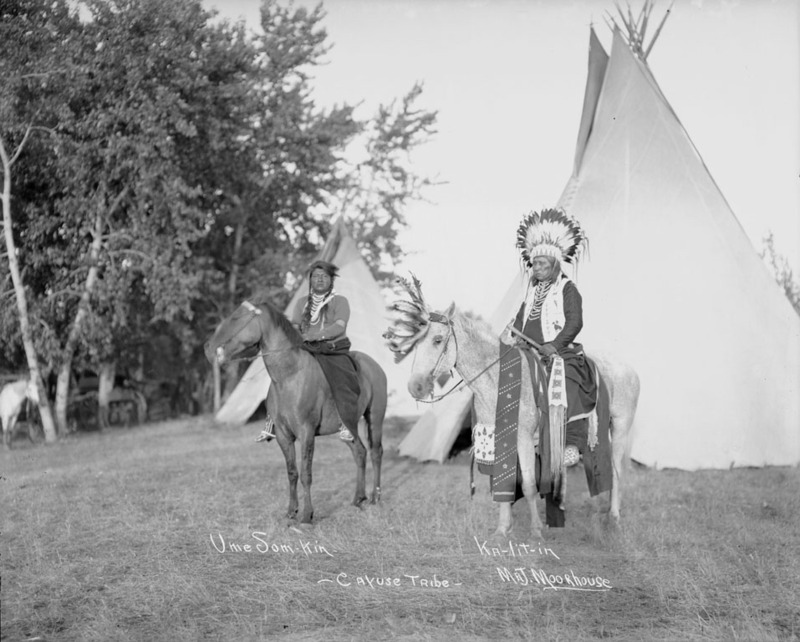 The Cayuse were known for their bravery and as horsemen. They bred their ponies for speed and endurance, developing what is now called the Cayuse horse. 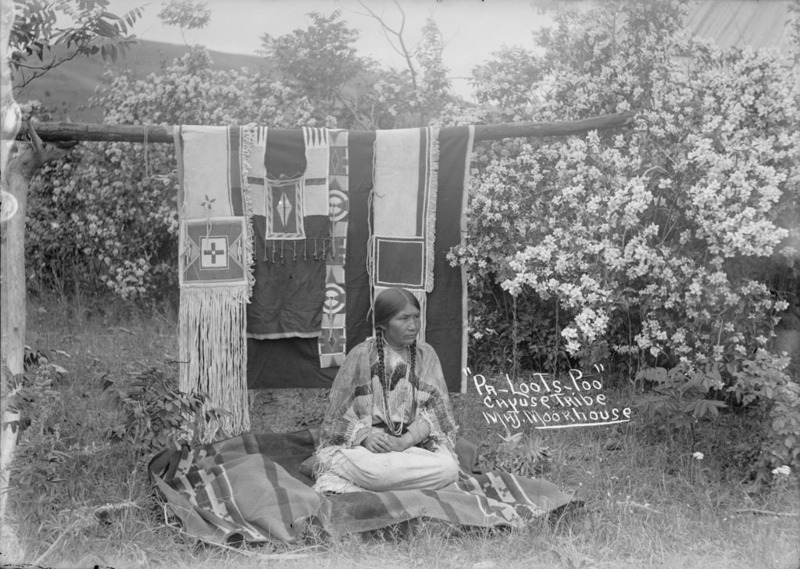 Originally Cayuse clothes were made of shredded cedar bark, deerskin, or rabbit skin. 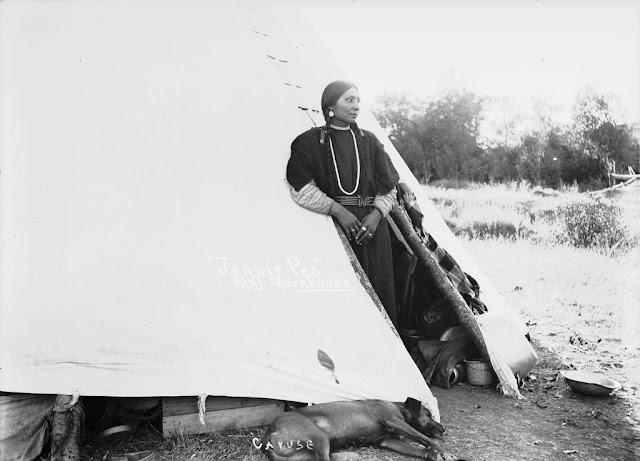 However with the influence of the Great plains tribes they began to use buffalo hides to make their clothes. The clothes worn by the men varied according to the season but generally they wore breechcloths and leggings, shirts, moccasins and robes. Blankets and gloves were frequently used to keep out the cold. 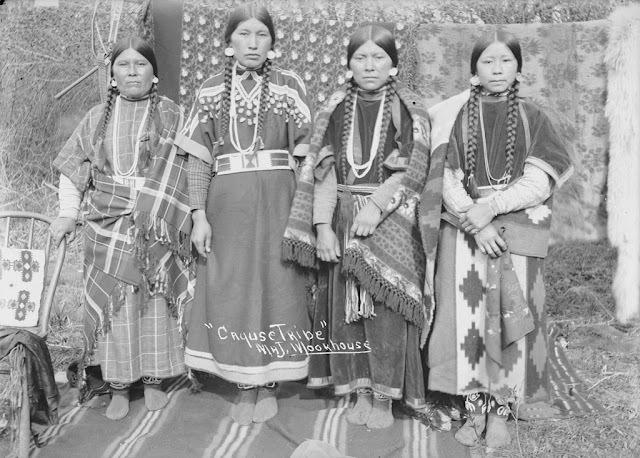 It was customary to decorate their clothes with fringes. 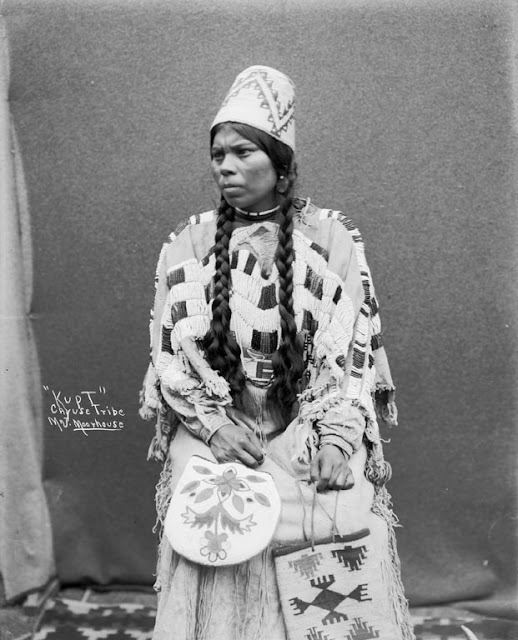 Breastplates were worn for decoration purposes as were armbands, wristbands and anklets. Headdresses were made of feathers, some used a 'standup' design of headdresses others were magnificent feather headdresses that trailed to the floor. 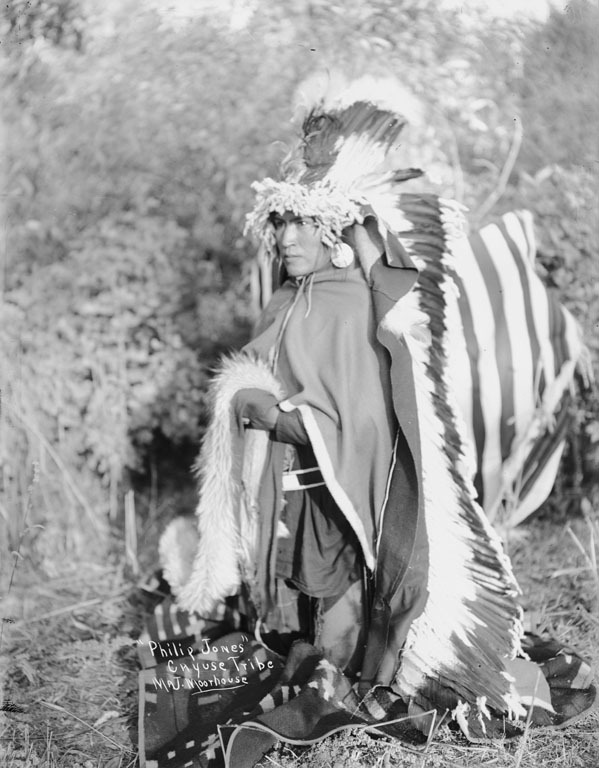 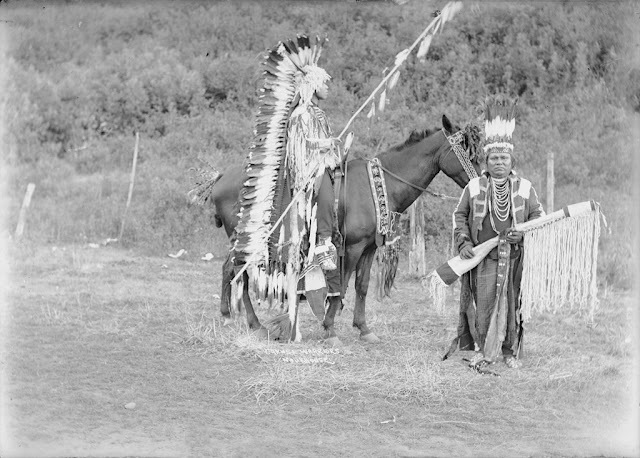 The Cayuse horseman wears a halo style headdress with bison horns. 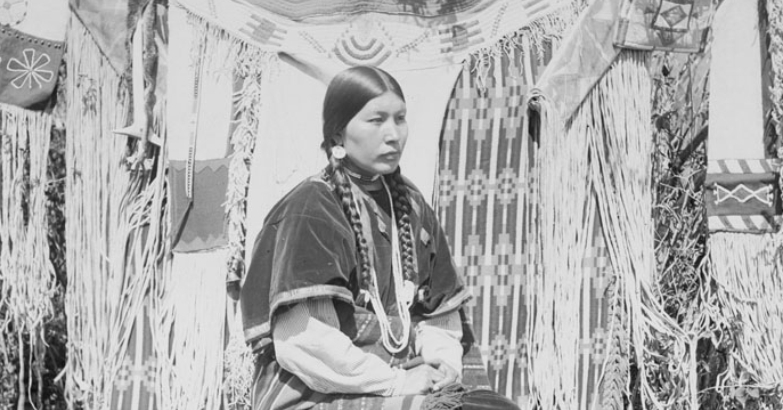 Their hair was kept long and decorated with beads and plaits for special occasions. 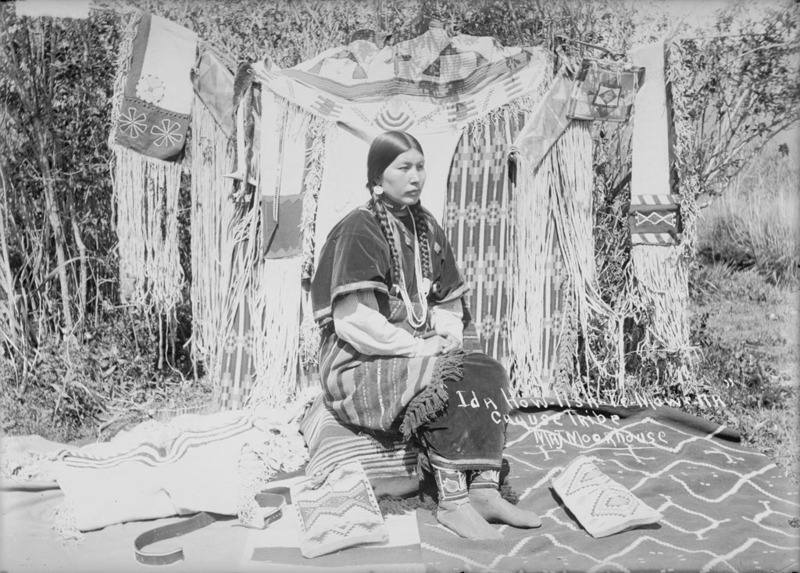 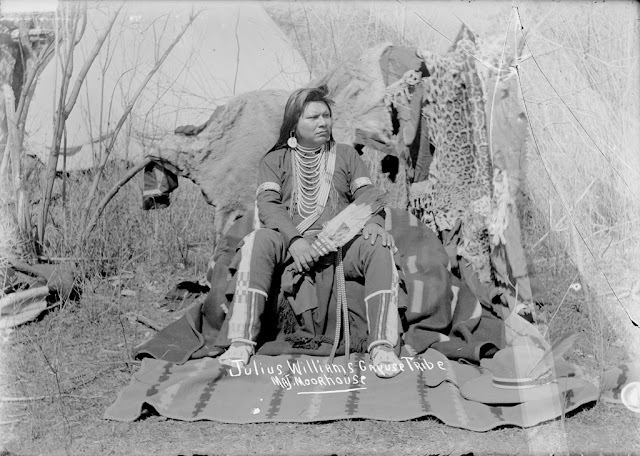 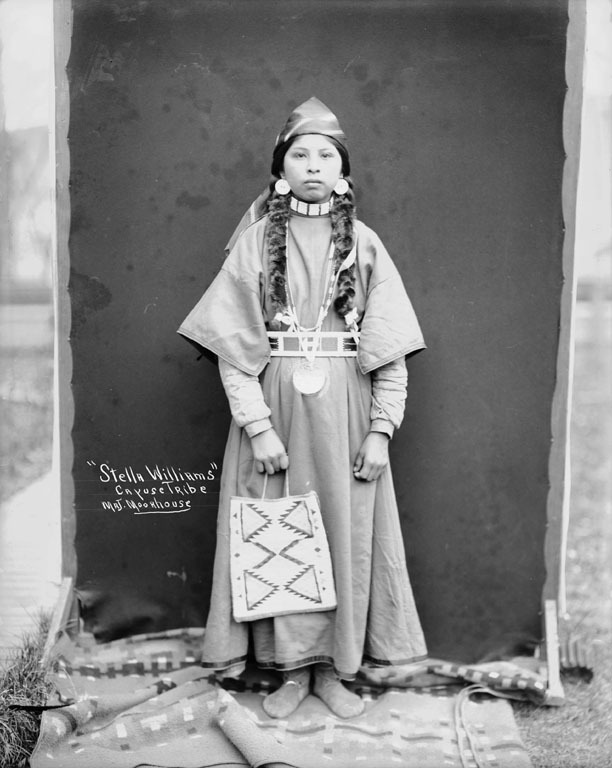 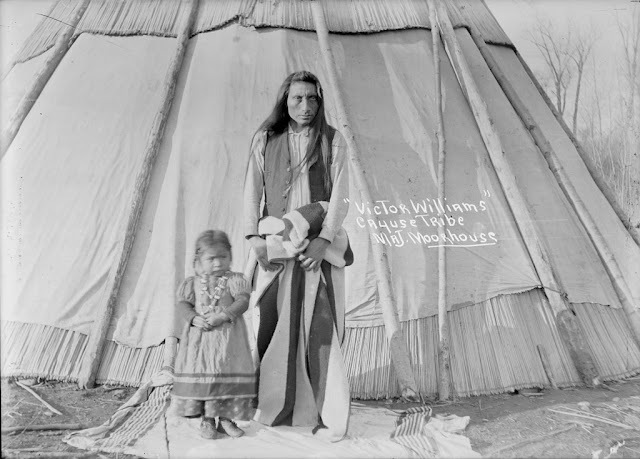 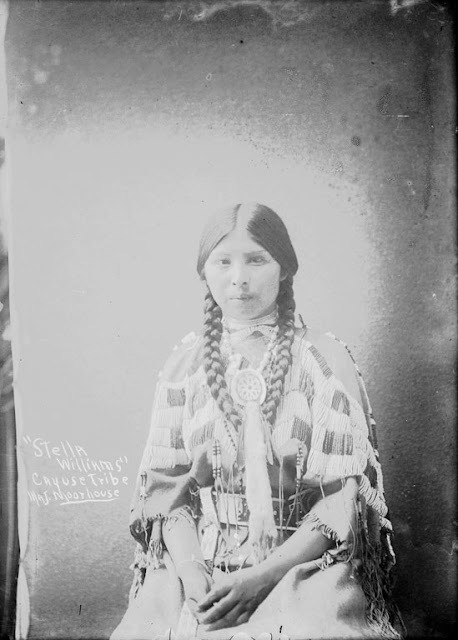 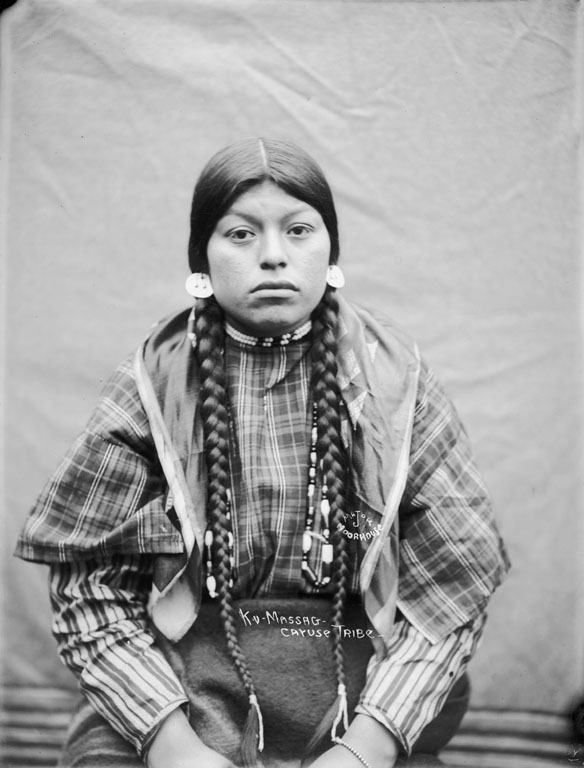 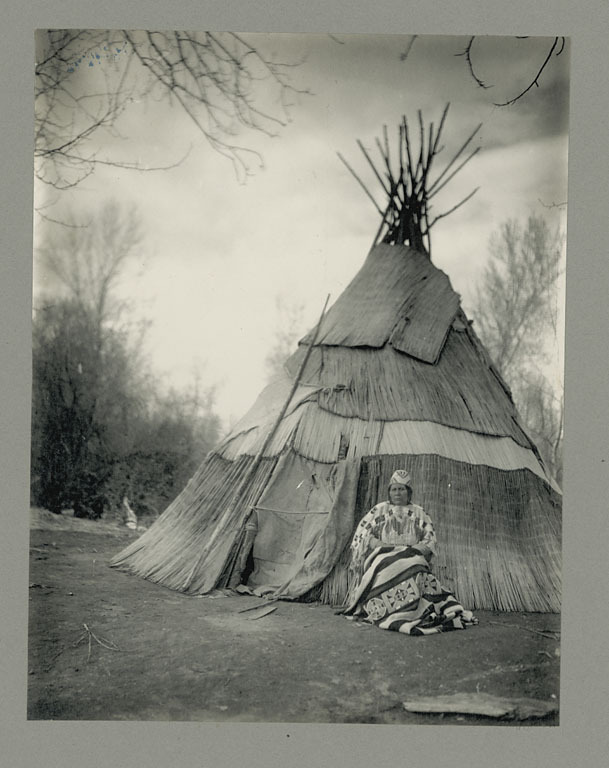 Responses to "Stunning Portraits of Cayuse People From The Early 1900s"
I'm fascinated with Native Americans, because the area I live in, was settled by the Mohawk (Iroquois). My husband's ancestors were related to the Algonquin. So, I still want to learn as much as I can about the American Indian Tribes, then and now.